In 1987, the Clean Water Act (CWA) was amended to require the US EPA to establish a program to address stormwater discharges. In response, US EPA promulgated the National Pollutant Discharge Elimination System (NPDES) storm water permit program. The NPDES permit program controls water pollution by regulating point sources that discharge pollutants into waters of the streams, rivers, lakes and coastal waters of the United States. The primary intent of the stormwater program is to eliminate illicit discharges from the waters of the United States. 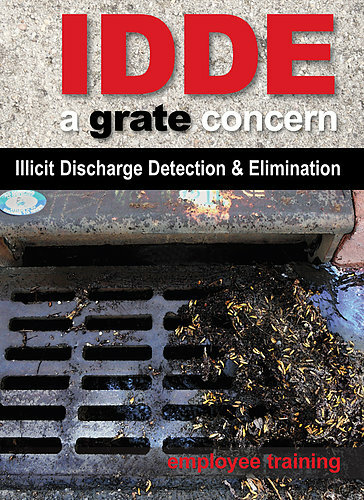 An illicit discharge is defined by US EPA as “any discharge into a separate storm sewer system that is not composed entirely of stormwater.” To guide the elimination of illicit discharges, the NPDES permit requires an Illicit Discharge Detection and Elimination (IDDE) program. Franklin Soil and Water is working in partnership with Franklin County Public Health on Franklin County’s and various municipalities’ IDDE programs. The IDDE programs are designed to inventory and characterize features contributing flows to the waters of the state, then eliminate any illicit discharges identified. The inventory and characterization of features for the IDDE programs are being managed with a Geographic Information System supported by field data collected with Global Position System technology. Common examples of illicit discharges of concern include paint or motor oil dumped into storm drains and gas, grease, and oil that wash into catch basins from parking lots. However, the most commonly found sources of pollution to stormwater systems originate from household sewage treatment systems, referred to as (HSTS). The illicit discharges from HSTS carry untreated sewage into the waters of the state and can contain bacteria, viruses, and protozoans, which cause a variety of health issues.